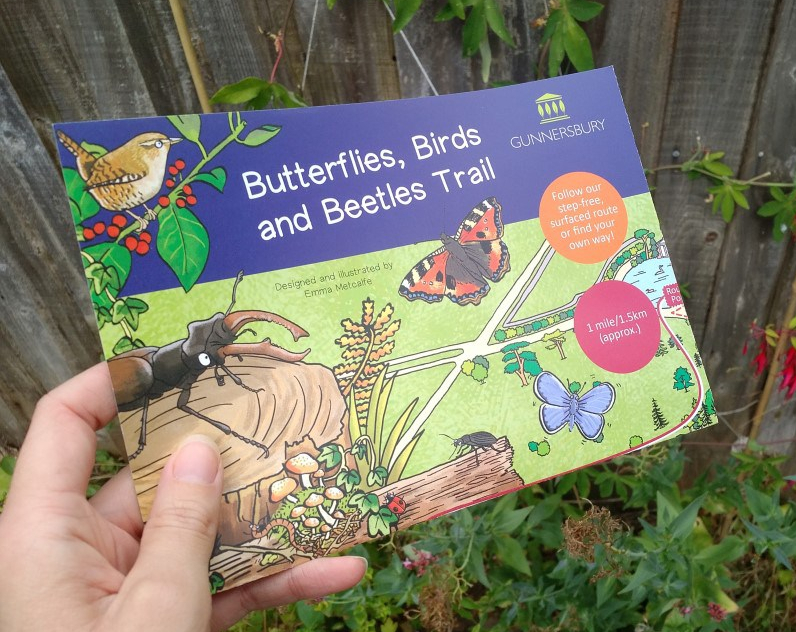 Here’s a new children’s trail leaflet design for Gunnersbury Park in London. 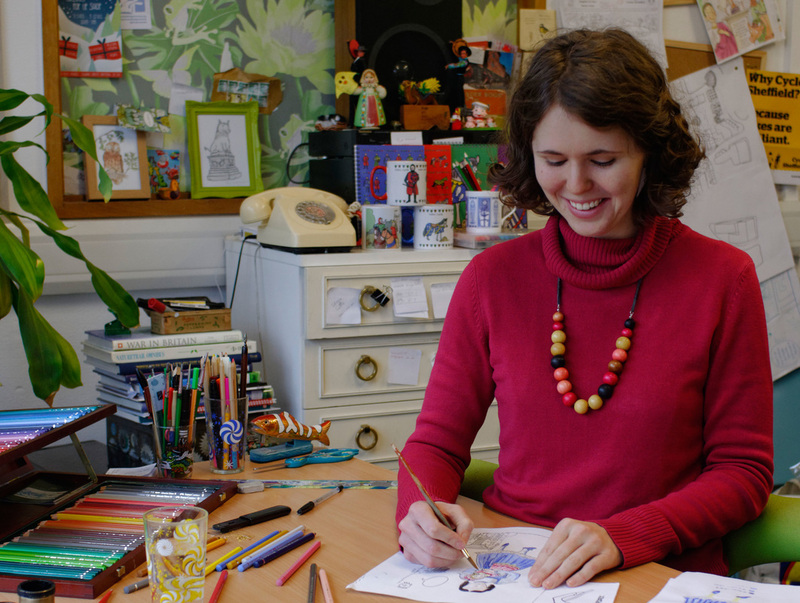 The brief was to produce a park trail to encourage families to explore the parkland. The trail is map-based and encourages families to do a different activity at various locations around the park. 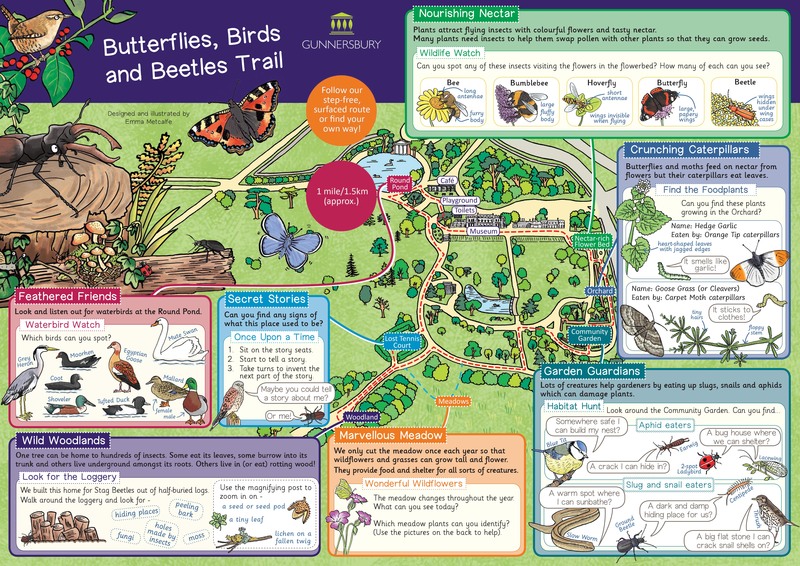 The trail encourages families to spot birds and insects and emphasises that most insects are beneficial in the garden. The activities on the reverse can be completed at home or in the café. I always try to make sure all my puzzles and activities are relevant to the site and educational. I really enjoy projects that focus on wildlife and conservation and encouraging children (and their parents) to care about wildlife and take action to help. 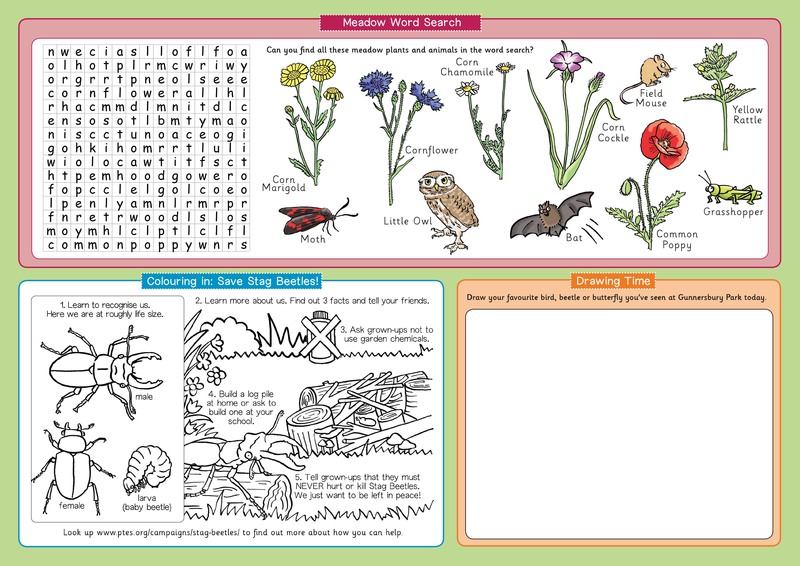 You can download a PDF version of the Butterflies, Beetles and Birds children’s trail here.